….And requires a strategic plan followed by a support system that rocks. Well I found more of my support system at the LuAnn Live event this weekend. I sit here writing on the last day of this conference having experienced two days of jam packed Amen moments. Owning a business is both challenging and amazing. Thankfully I have a passion for what I do. I am able to get up every day with a smile knowing that I have a business that is thriving and allows me an avenue to use my talents. Talent does only get you so far, the rest is pure grit and determination! 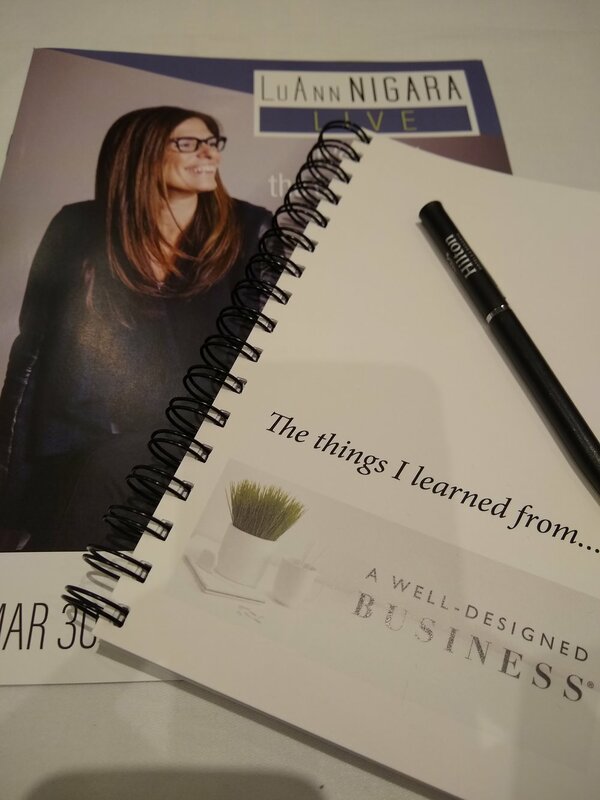 The panelists at the LuAnn Live conference had words of wisdom that will help me improve a myriad of aspects in my business. I pride myself on continuing education. This education allows my business to stand apart from others. It also gives me a sense of the path I am following, outline the goals that I want to achieve and the clarity to set the goals and conquer them. I have big goals for my business this year. Create a larger revenue stream, tackle five full home projects and find peeps that get just as energized about textiles as I do are the big umbrella goals for my 2019. (Oh and throw in a 5K in November.) My plan has been set and I have made the decision to be excellent as I execute this plan. Thank you to LuAnn and all the co-authors of her book “A Well Designed Business”-The Power Talk Friday Experts. You all rocked it!